Join the East Track and Field Team for a bite to eat at Chipotle! 50% of your purchase will be donated back to the East Track and Field team! Come hungry after school or after practice—and share the attached flyer with friends and family. 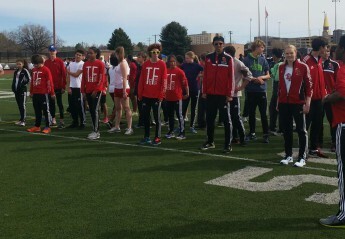 The more people who mention East Track and Field when making their purchase, the more funds directed to the team! BUT YOU MUST MENTION OR SHOW THIS POST OR FLYER FOR US TO GET CREDIT. Athletes and parents: Please help spread the work by posting the flyer on your Facebook, Twitter and Instagram accounts. Show the flyer (in hand or on mobile device) to the cashier, or simply mention that you are supporting East Track and Field. Gift card purchases during fundraisers do not count toward total donated sales, but purchases made with an existing gift card will count. If placing an order online during the fundraiser, you must choose the pay-in-store option and inform the cashier before paying in order for your order to count toward the fundraiser. Please do not hand out fundraiser flyers to customers in line at the restaurant, outside the doors, or in the parking lot.